During the last decade(s) it’s become a common practice among American publishers to collect serialized comics in trade paperbacks (TPB’s). On comic forums and in blog comments I often see the question "should I get the single issues or the trade paperbacks?" Generally speaking, if someone asked me that question, I wouldn’t be able to give any advice. It all depends on various factors that can be different from series to series, and also on personal taste. The first time I started getting TPB’s instead of single issues was in the early 2000’s. Back then I was a huge fan of The Punisher, and living in Norway it was a lot easier to get the TPB’s. And I still get TPB’s or omnibuses (the Star Wars ones are awesome!) if I want to read old stuff. But in most cases where I have a choice and want to read something (new) on a regular basis, I personally prefer the single issues. Alright, this is supposed to be a blog about Disney comics. I think BOOM! 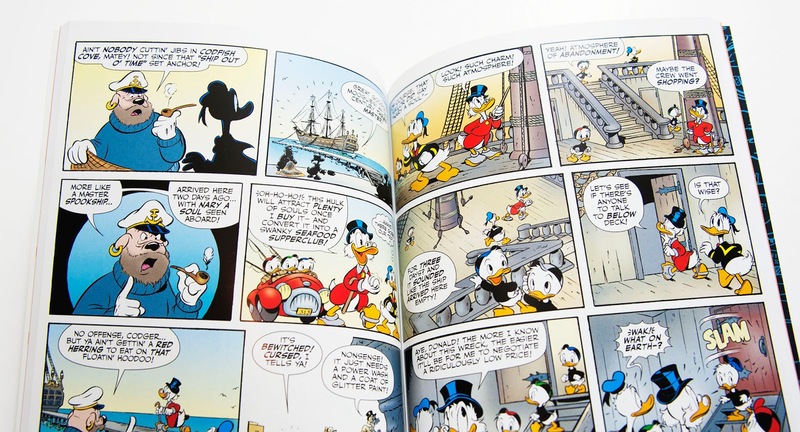 was the first American publisher to start collecting Disney issues in TPB’s. We saw paperbacks and digest issues from earlier publishers too, but not this kind of collections. 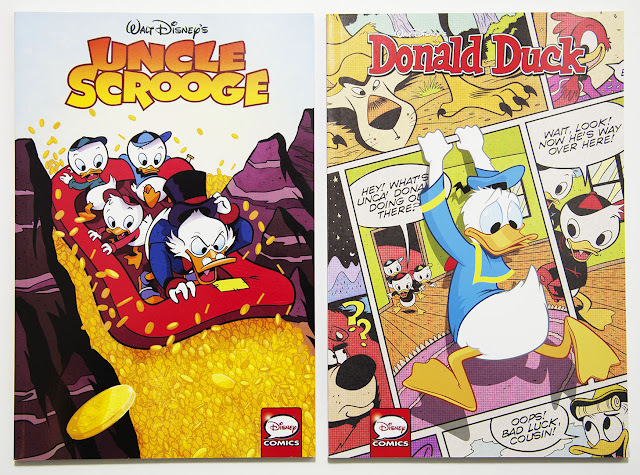 The closet to what I define as TPB’s must be Gemstone’s Scrooge's Quest by Marv Wolfman and The Gold Odyssey, that together collects most of the DuckTales run by Disney Comics Inc. In BOOM!’s case if someone asked "single issues or TPB’s", I’d say "get the TPB’s!" But the reason for that is that BOOM! made such a huge mess out of some of their series, that they are a special case. Mickey Mouse on Quandomai Island and Minnie Runs Out of Time are two stories that were printed in 4 parts in Walt Disney’s Comics and Stories #707 to #710. Originally a 2-part and a 1-part story, BOOM! decided to break them up in 4. Especially the Minnie story became unreadable broken up like this. 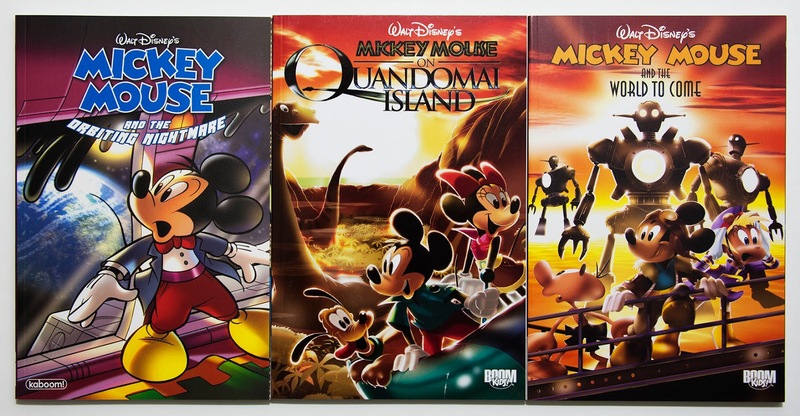 They were both collected in a TPB called Mickey Mouse on Quandomai Island, that makes them a lot better reading experience. Ultraheroes also started up as a serial in Walt Disney Comics and Stories. But when they came to part 5, BOOM! suddenly decided to move the story to its own title starting with that part in "Disney's Hero Squad: Ultraheroes #1". The entire story was later collected in 3 TPB’s, a lot easier to keep track of than all the single issues. The exact same thing happened with Wizards of Mickey. It started up as a series in Mickey Mouse, but from part 5 on it continued in its own title. The parts from both titles where later collected in TPB’s. The DuckTales/Darkwing Duck crossover Dangerous Currency also ran as a serial in two different titles, and later collected in one TPB. 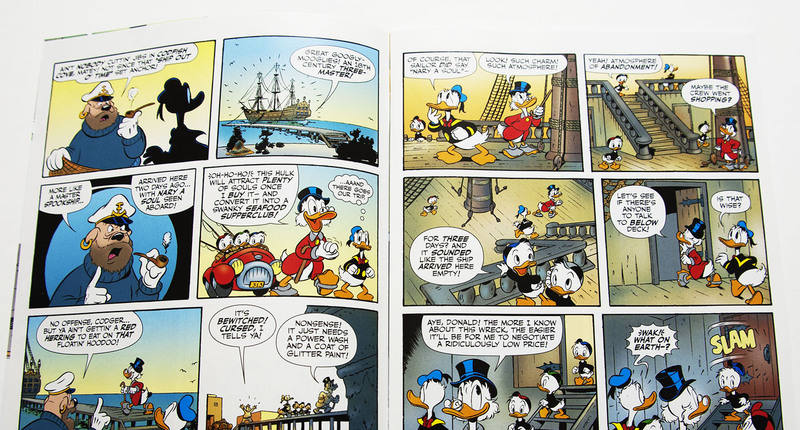 One of the issues printing the serial DuckTales: Rightful Owners was rushed out on the market without proper coloring and with one page of terrible editing work replacing unfinished art. The coloring was fixed and the page replaced in the TPB. Even if I think BOOM! made some bad decisions, they did good work too. At the end of their run of the "core four" they printed a lot of interesting stories. Also they started up two series I don’t really count as trade paperbacks. 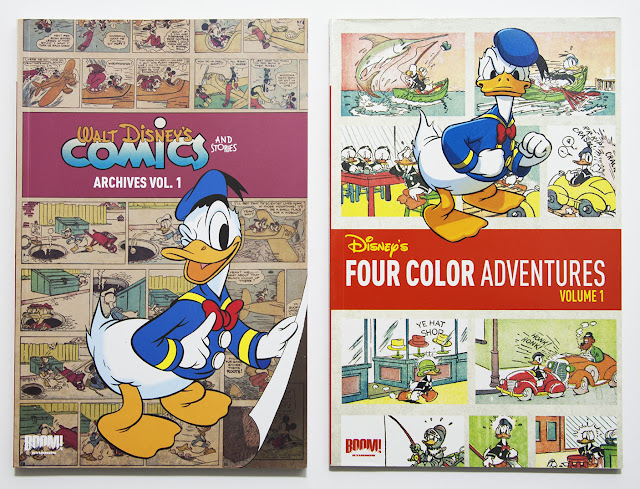 Four Color Adventures and Walt Disney's Comics and Stories Archives had facsimile reprints of early Dell comics. Sadly only one volume of each came out. While BOOM! published traditional Disney comics, Disney Press did a few TPB’s too. But they were a bit "backwards" as they got published in single issues by another publisher right after they came out. 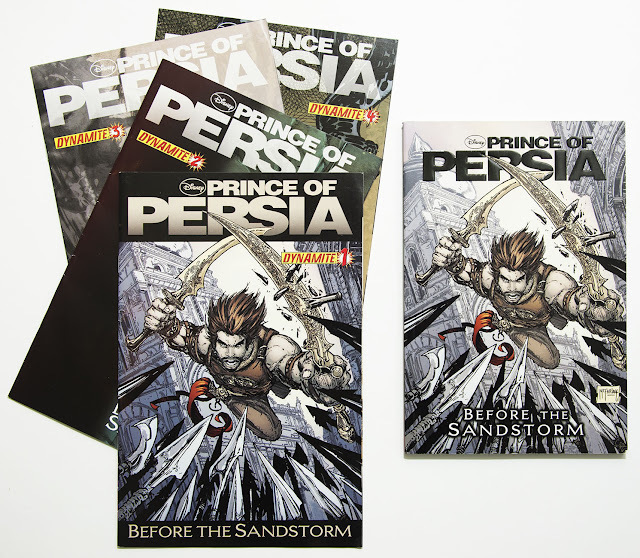 Prince of Persia: Before the Sandstorm collects 4 comics that where published by Dynamite. Tron Betrayal collects 2 issues published by Marvel, but also has a Prolog and an Epilog that I’m not sure if is printed anywhere else. So here I’d go for the TPB. 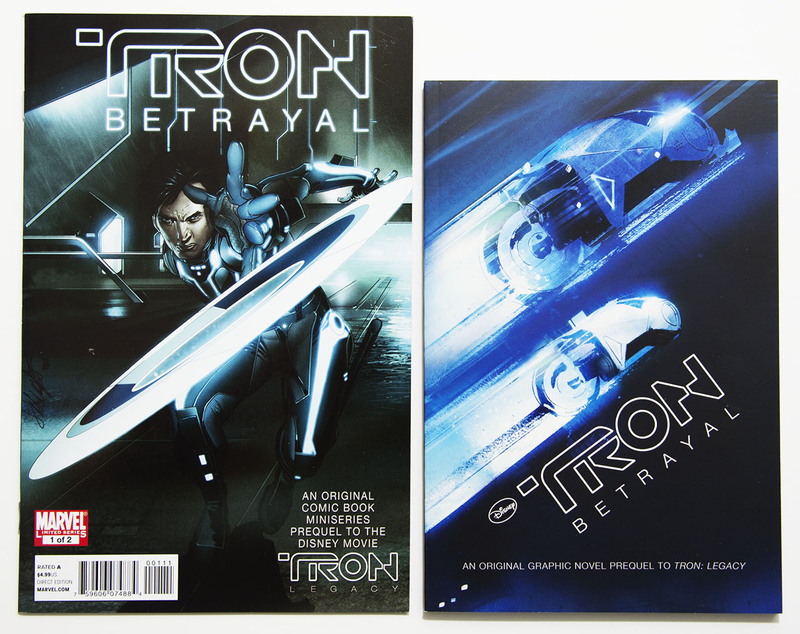 A movie adaptation of TRON got published in a TPB too. But this time Marvel did it their self. The TPB only collects two issues, but on a thicker and not glossy paper. With the color heavy comics inside, it looks a lot better on glossy paper, so I prefer the single issues in this case. 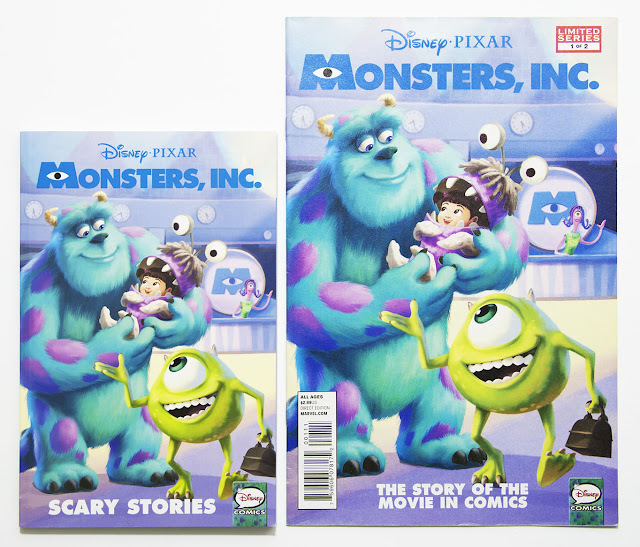 While waiting for a new publisher to take over classic Disney comics after BOOM!, Marvel did some single or limited runs of Disney/PIXAR comics. 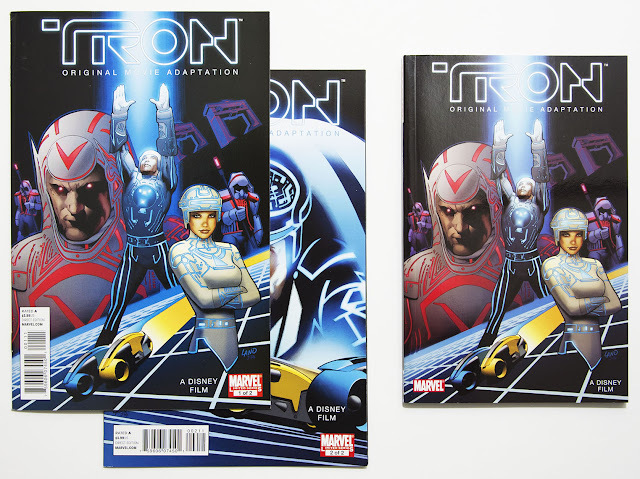 The size of the TPB’s that collect these issues are even smaller than the Tron TPB. So again, I prefer the single ones. 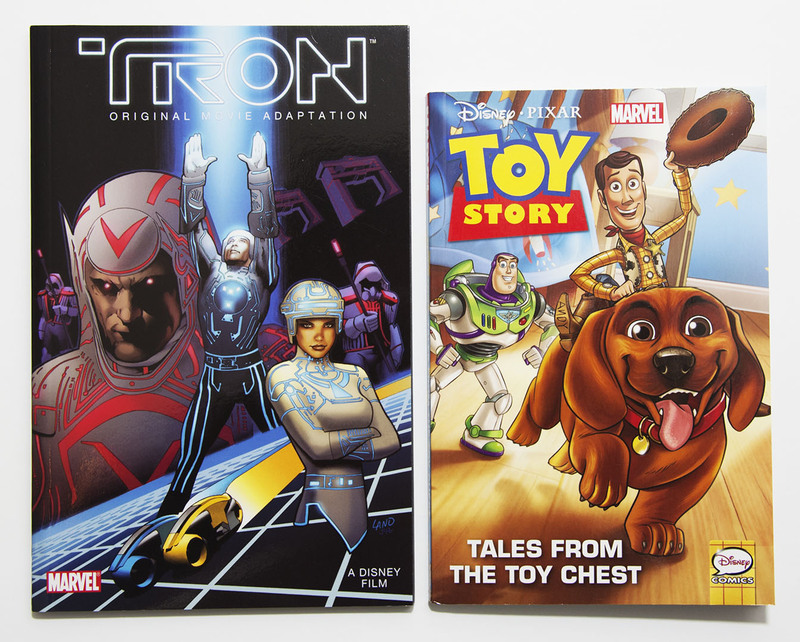 The Toy Story trade from Marvel is even smaller than the TRON trade. Now, the most informal part of this blogpost is probably the IDW trade paperbacks (maybe I should have started with that). The first ones just came out and are collecting series that are currently in print. 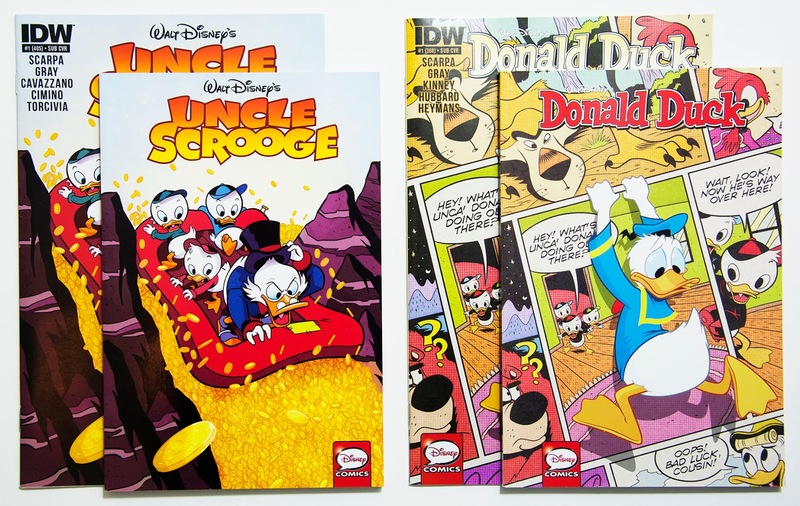 I’ve checked out the first TPB’s with Uncle Scrooge and Donald Duck from IDW. They are both collecting the first 3 issues of the monthly series including all the variant covers. What is missing is the Crosstalk page. But so far that page has mostly been a short summary of the content in the other titles that month, so you don’t really miss much. The TPB’s are $12.99 and collects 3 issues with a cover price of $3.99 (a total of $11.97). So unless you need all cover variants you won’t actually save any money on the TPB’s from IDW. Also, the TPB’s are printed a bit smaller than the single issues. From the facts I’ve listed so far there are both pros and cons with the TPB, but none that I think is really important making me want to get one version over the other. Maybe the biggest difference is the size. Personally I prefer the large size. The TPB’s are impossible to read without completely breaking the spine! The pages are printed with just a tiny little border on the inside, so for a lot of pages I have to make press on and flattening the book to be able to properly read all the dialogue or view all of the art. And if I do this throughout the book, it won’t take long before I have loose pages and a ruined book. I found it really annoying trying to read the stories inside. For this reason alone; get the single issues. 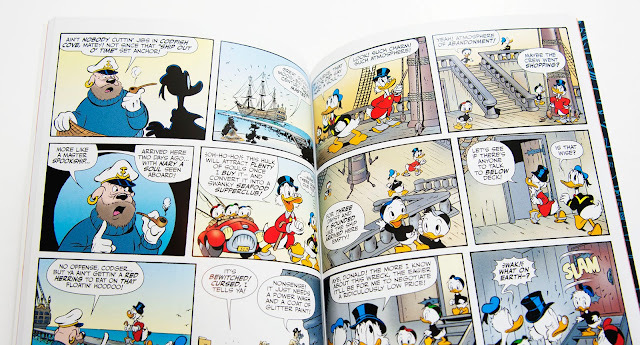 Inside the Uncle Scrooge TPB. Inside the single issue with the same story. A lot easier to see everyting in all panels.